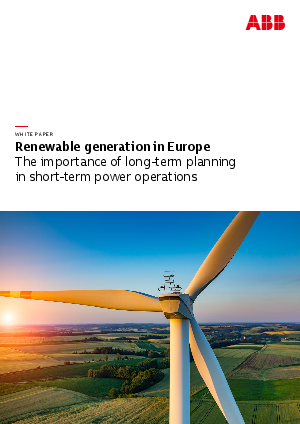 In recent years, Europe has seen a real boost in the building of renewable generation capacity. Germany is a notable example of a country with significant growth in renewables. the average annual growth of installed capacity in Germany has been more than 15 percent, reaching 18-20 percent between 2009 and 2010. For the most part, favorable conditions for the development of renewables have been caused by support schemes, previously based on feed-in-tariffs and competitive auctions. Now the country has reached a point where renewables account for around 53 percent of installed capacity and around 36 percent share in total electricity demand, already exceeding the 2020 target of 35 percent. Download the Whitepaper to learn more today.